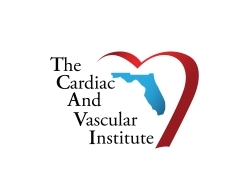 Gainesville, FL, January 09, 2019 --(PR.com)-- The Cardiac & Vascular Institute (TCAVI) and North Florida Regional Medical Center (NFRMC) collaborated this week to test an artificial intelligence (AI) device designed to alert clinicians to bleeding episodes during endovascular procedures. According to a press release, the AI device, (named Early Bird™ Bleed Monitoring System by Houston-based company Saranas™), uses a sheath embedded with an array of electrodes used to detect when the electrical resistance changes across blood vessels. By sensing a change in the vessel’s electrical resistance, the device is designed to detect, monitor and signal blood pooling outside of vessels, triggering audible and visual notifications that alert the care team to a possible bleed. With vascular access procedures on the rise, the Early Bird Bleed Monitoring System is designed to protect, and in some cases, save the lives of patients undergoing an endovascular procedure by using embedded sensors designed to detect and monitor bleeding from a blood vessel accidentally injured during endovascular procedures. If detected early, bleeds can be stopped or even prevented, which can help to decrease procedural complications, healthcare costs and the length of stay in the hospital after a procedure. Sheaths are currently used in cardiac and vascular procedures to keep vessels open, which means that this device will be applicable to existing operations. The Early Bird Bleed Monitoring System is not yet cleared by the U.S. Food and Drug Administration and is currently available for investigational use only. At The Florida Heart and Lung Institute (FHLI) our cardiothoracic surgeons offer a comprehensive range of services and specialize in heart and lung surgery. Dr. Charles T. Klodell and Dr. Thomas Zeyl specialize in heart and lung surgical procedures including minimally invasive aortic and mitral valve repair or replacement, aortic aneurysm repair, treatment of hyperhidrosis, TAVR, MitraClip and open heart surgery. We provide specialized care to the North Central Florida area including: Gainesville, Newberry, Alachua, Waldo, Hawthorne, Micanopy additionally with satellite offices in Sanford, Tallahassee and the Panhandle. Their mission is to deliver the highest quality, expert care with compassion and consideration. For more information on the practice or to schedule an appointment with The Florida Heart & Lung Institute, please contact (352) 333-5610 or visit www.flheartandlung.com.